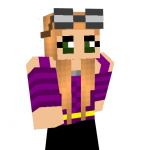 Deadmap now includes Voxelmap waypoints! We recently had a suggestion-box request to add a Voxelmap waypoint listing to http://nerd.nu/maps/pve/live/ so users can import all of our waypoints to their personal maps. At this time we didnt want to bog down the techs with a request like this, they've got other super important things going on. We do have Deadmap! 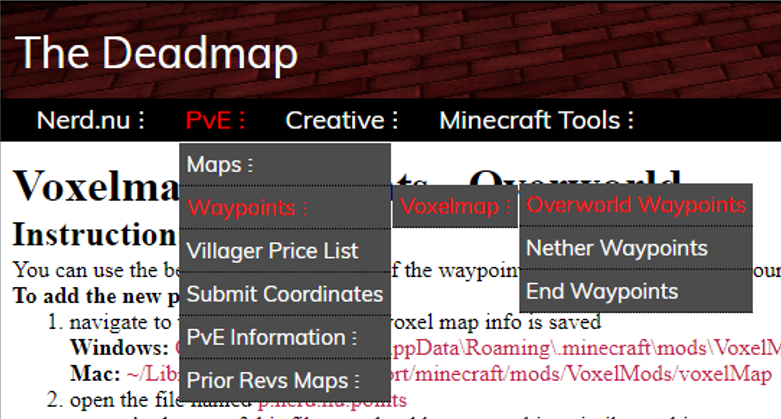 As of right now Deadmap now has three voxelmap waypoint pages for you to use to import the items from Deadmap into your voxelmap .points file! Deadmap includes tons of items that are not on the /place list in-game so you should be able to fill up your screen with colorful dots of intrest in no time at all!